Life Is Good is the first single from the progrock band Artifact, with a full, tentatively self-titled album scheduled for a March, 2017 release. The band features renowned rock musicians such as Jeff Scott Soto, Jeff Kollman, and Joel Taylor among others. 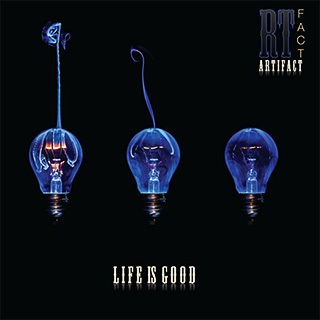 RTFACT review from THE PROG MIND 8.5/10 (5 Stars) RTFACT – "LIFE IS GOOD"
Artifact - Life is Good (2016) - Teaser.